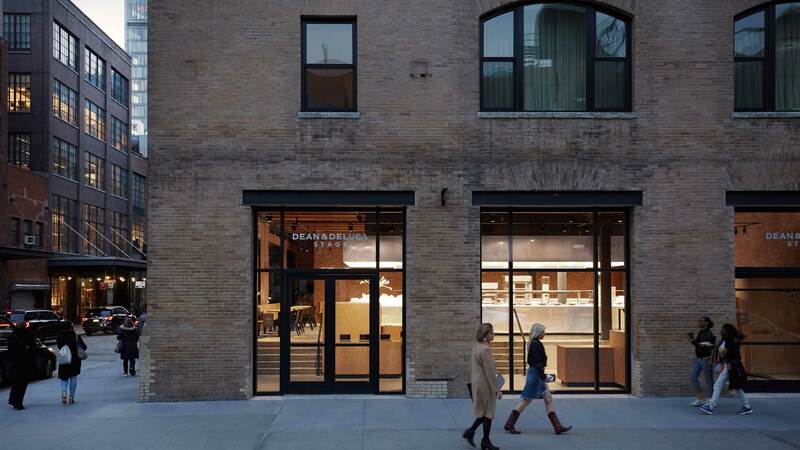 Dean & DeLuca originated in September 1977 when Joel Dean, Giorgio DeLuca, and Jack Ceglic opened their first grocery store in an industrial space on Prince Street in Soho, Manhattan. During the 1970s and ‘80s, cultural icons from Robert De Niro to Donald Judd discovered a unique selection of food from around the world at the legendary New York gourmet market. Through its relentless exploration and inventive definition of culinary trends, it acquired a legendary status as one of New York’s iconic food institutions and leading international curator of fine food. 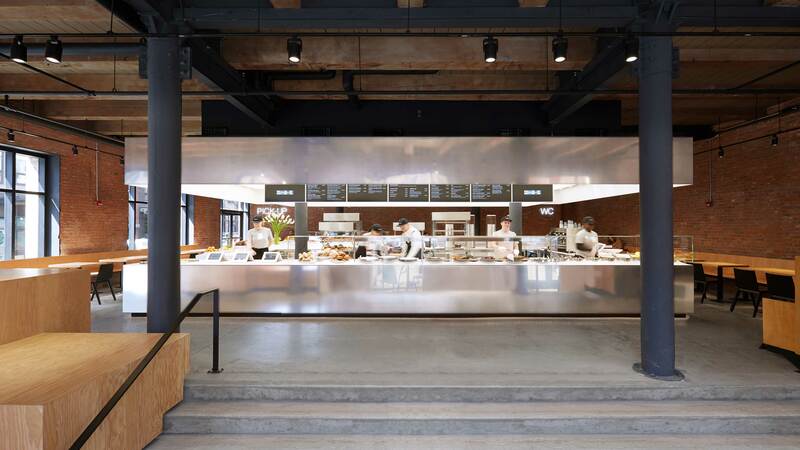 Dean & DeLuca once again forays into the territory of discovery and exploration with the opening of STAGE, Ole Scheeren’s vision for a chef-led eatery design that celebrates food as a profound cultural and social experience. 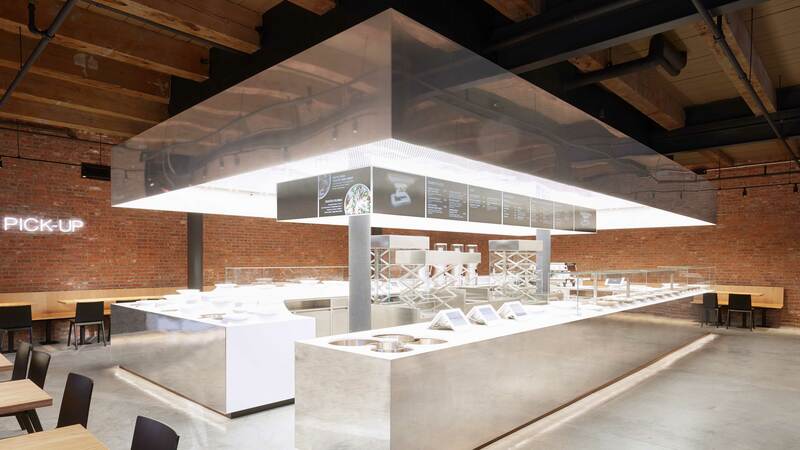 With the introduction of a chef-led eatery concept, Dean & DeLuca expands its existing gourmet market offering to create a new ‘small format’ that aims to offer high-quality food to a sophisticated audience. 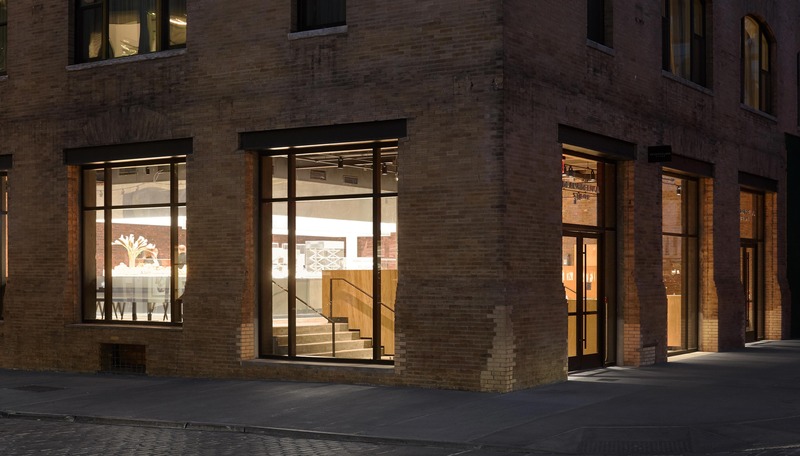 STAGE is located in New York’s Meatpacking District, one of the city’s most vibrant and lively neighborhoods, in close proximity to the Whitney Museum of American Art and the High Line. 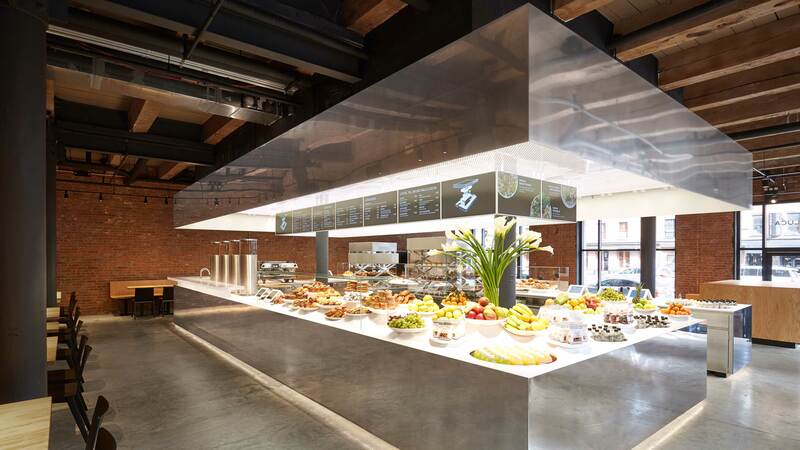 A glowing, pristine object of polished stainless steel is placed in the center of the space: a theatrical STAGE for the presentation and celebration of food. 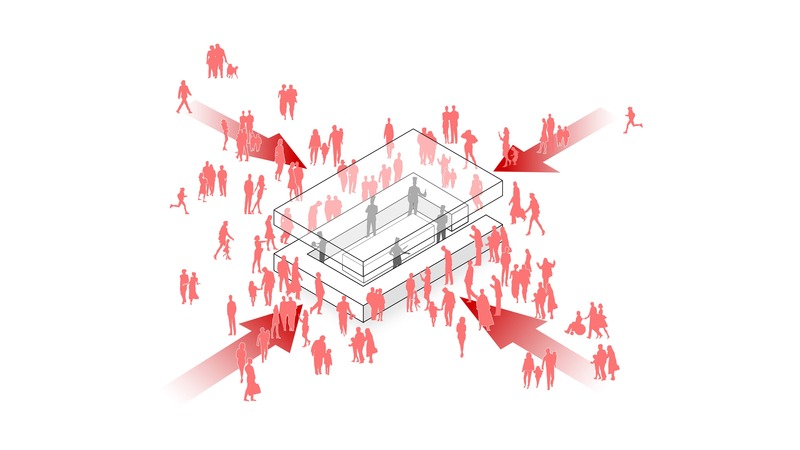 Instead of a merely utilitarian sales and display counter pushed against the perimeter wall, the STAGE is a central platform for social interaction around the making and consumption of food. The continuous discovery of ingredients and the visual experience of the staff’s mastery in preparing the fresh delicacies change the perspective of fast food retail and redefine the relationship between customer and product. The space is given a focal point, and the STAGE becomes the central energy center for a theatrical interplay of ‘actors’ and ‘audience’. In opposition to architecture, which typically creates both object and space, we are confronted with multiple, given realities: spaces of almost any kind and nature into which we project our design and our vision. Instead of concealing these interior ENVELOPES through fake decoration, we decided to accept the givens – recognize existing spaces as ‘objets trouvés’ – and celebrate the authenticity and diversity of what we find. 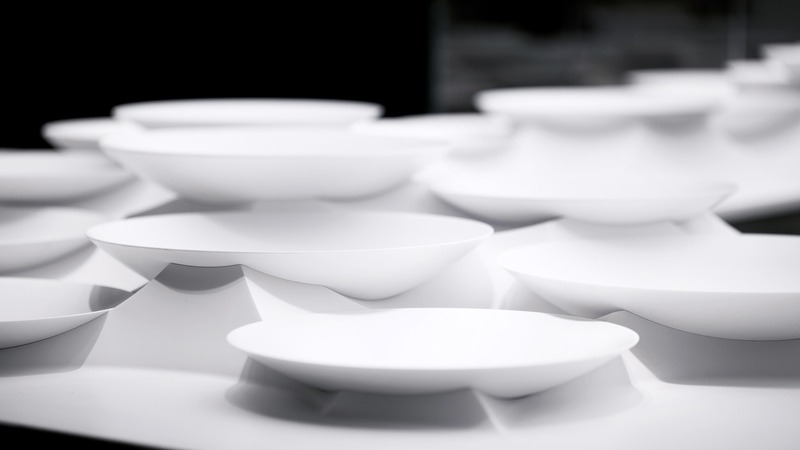 Into this raw context we insert a singular refined object as an autonomous, flexible unit – perfected, optimized and globally multipliable across diverse contexts and locations: a STAGE for the presentation and celebration of delicate food. 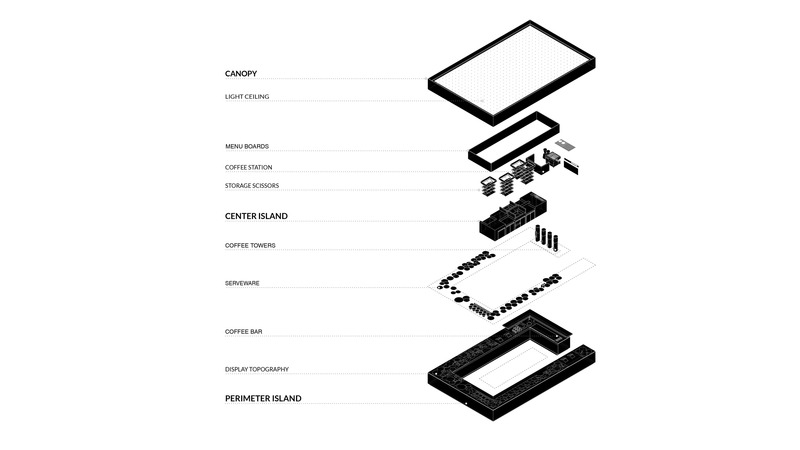 The formal autonomy and abstract identity of the STAGE allows its existence within the most diverse environments: the ENVELOPES of found or given spaces are maintained and stripped down to reveal their original local character. The STAGE, as an emblematic and iconic object, defines Dean & DeLuca’s globally recognizable identity, while the found ENVELOPES embed the brand in locally specific contexts. Through its highly reflective steel surfaces, the STAGE visually dematerializes and merges with the local ENVELOPES and diverse characters of global cultures, turning each site into a unique experience. An undulating TOPOGRAPHY evokes notions of a dramatic landscape for the display and celebration of food and ingredients. 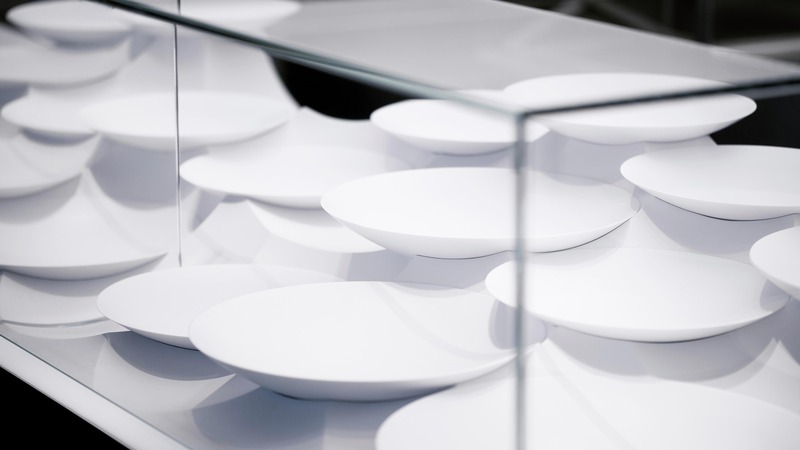 The sculpted surface of the TOPOGRAPHY creates a multi-layered, high-tech food display system with the visual quality of a still-life painting. 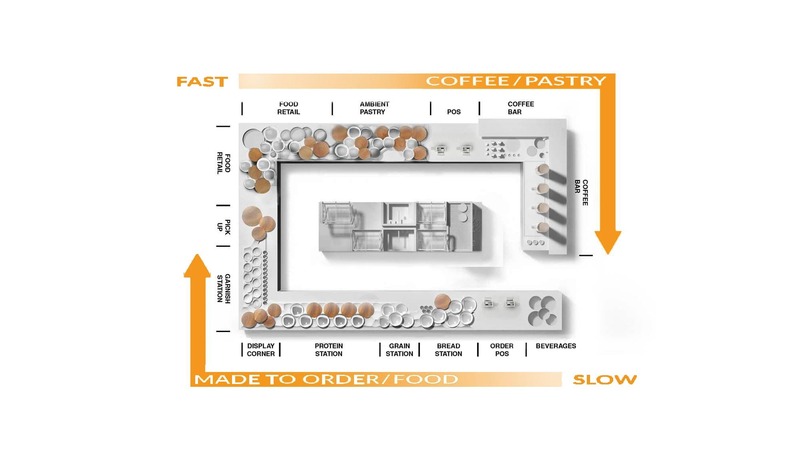 Milled from a solid block of white Corian, the food landscape conceals state-of-the-art technology under its delicate surface, with invisible heating and cooling units supplying the different service sections.